Ducati revamped its Hypermotard range ahead of MY2019 with the 950 and 950 SP to replace its outgoing Hypermotard 939 models. 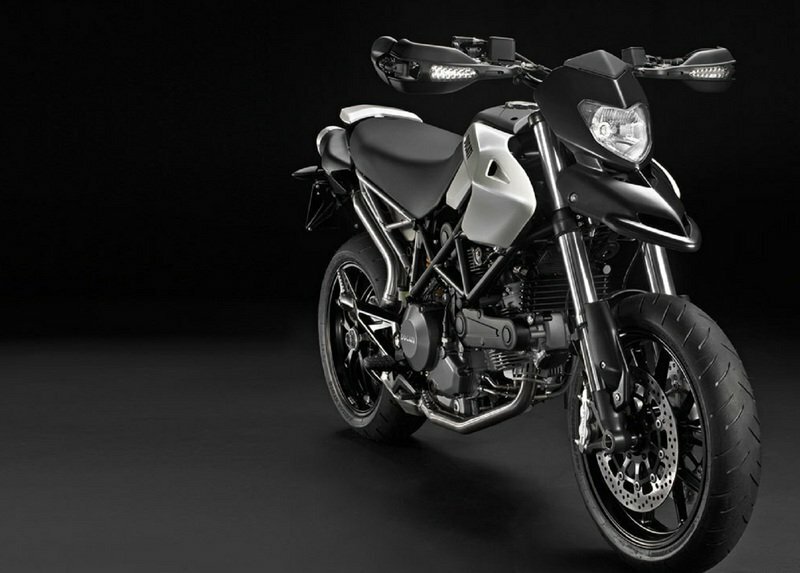 The new 950 borrows from the supermotard world for general design and rocks sharper angles for a more aggressive look. The 950 dropped some weight compared to its predecessor and replaced it with ponies for greater performance across the board, and the “SP” comes with top-shelf suspension and wheels, plus an expanded electronics suite and carbon fiber components to sweeten the deal. The hooligan-bike sector isn’t what you’d call the most populated by any means, but I’ve already got some potential competitors in mind so let’s go ahead and dive right into Ducati’s newest jackass bikes. 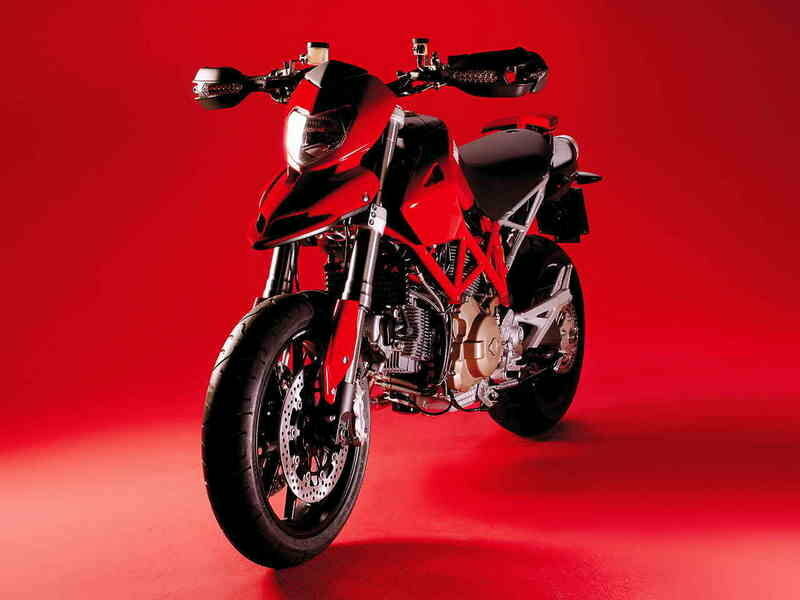 Ducati made a radical move in the context of motorcycling when it launched the Hypermotard for the first time in 2007. 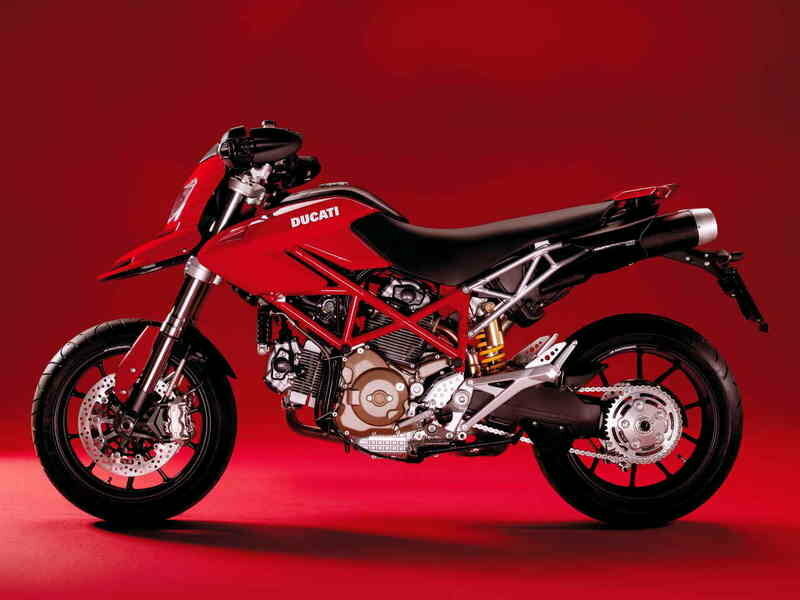 Much before the Diavel, it was the Hypermotard which started the trend of ‘cross-breeding’ at Ducati. 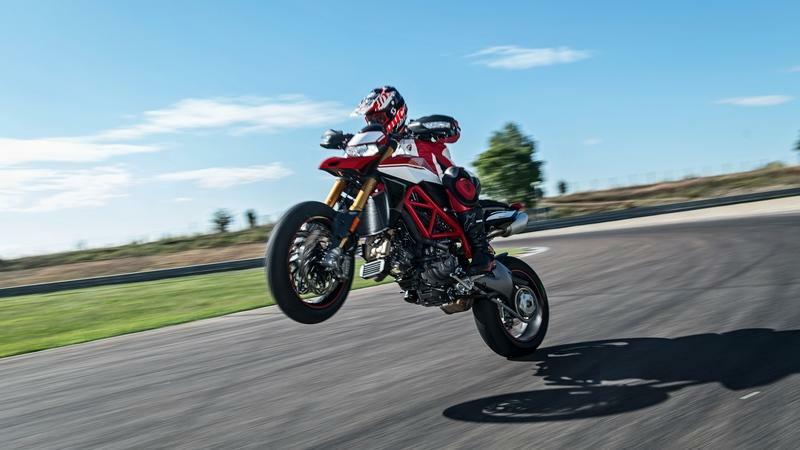 And even today, the Hypermotard bridged the gap between refined sportbikes and minimalist supermotards driven by the belief in the upright and in-control riding position of a dirt bike, but not the harsh characteristics of its single cylinder engine. It recently ditched the 821cc Monster derived mill for an all-new four-stroke, 937cc L-twin and is a 113 hp rocket. It looks like Ducati is taking another dig at it and is giving it a sizeable update for the 2019 model. Friends from MoreBikes have managed to get their hands on the bike undergoing testing under camouflage. 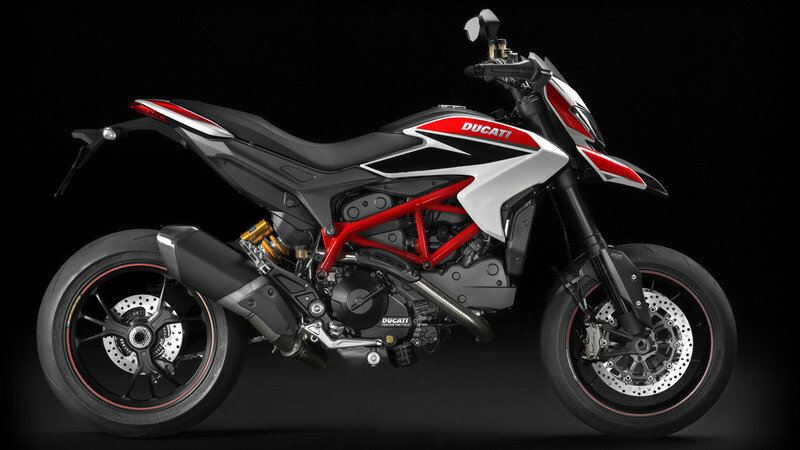 Ducati updated its Hypermotard for the 2016 model year and carried that forward to 2018. Fairly fresh off a revamp in ’13, the new Hypermotard variant brings Ducati’s EURO 4-emissions compliant Testastretta to the range along with its increased, 937 cc displacement and 113-pony output. The factory also padded the range with a MotoGP-liveried, 939 SP that sports top-shelf racing suspension and is generally skewed toward track work, or riders who wish they were doing track work. 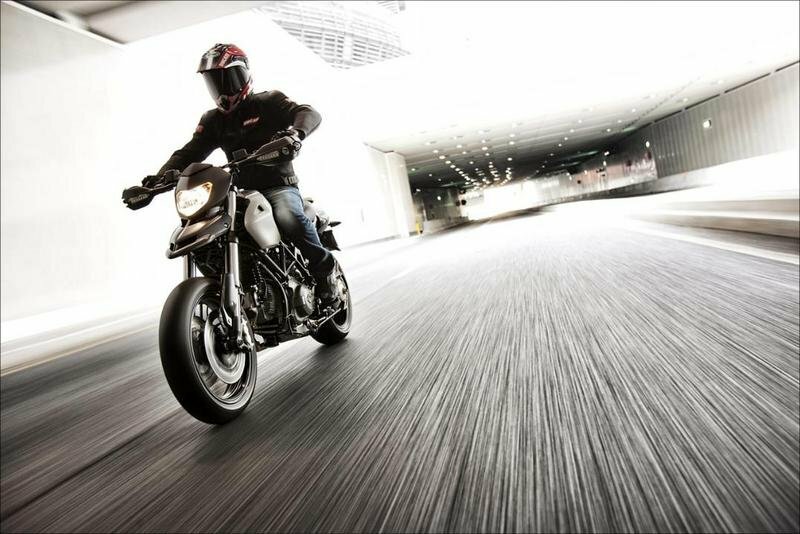 Both rides benefit from Ducati’s rider-safety technology with onboard traction control, ABS and the like. Good thing too, since this is exactly the kind of bike that will allow you to get in trouble all three ways: quick, fast, and in-a-hurry. Continue reading for my review of the Ducati Hypermotard 939 and 939 SP. Fast, good looking and agile, the Ducati Hypermotard SP rewards you with a sporty riding experience every time you jump on its back. The motorcycle weighs 171 kg (dry) and is built around a 821cc, Testastretta 11° L-Twin, liquid cooled engine that puts out a maximum power of 81 kW (110 Hp) at 9250 rpm and 89 Nm (65.8 Lb-Ft) of torque at 7750 Rpm. The unit is mounted on a modern tubular steel trellis frame. 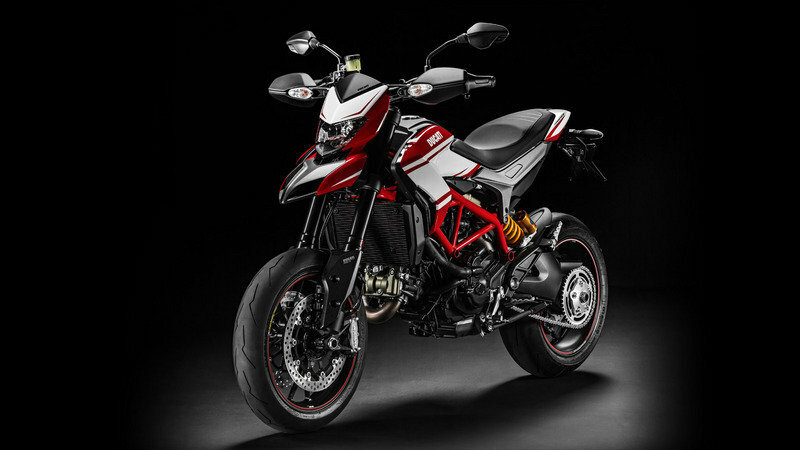 For enhanced performances, the Ducati Hypermotard SP is equipped with the Ducati Traction Control system, which is adjustable over 8 levels and you also get the Ducati Safety Pack (DSP). The bike rides on forged Marchesini rims combined with fully adjustable suspensions with an ultralight Marzocchi aluminium yoke and an Öhlins rear shock absorber. As far as prices are concerned, the Ducati Hypermotard SP can be yours for no less than $14,995. 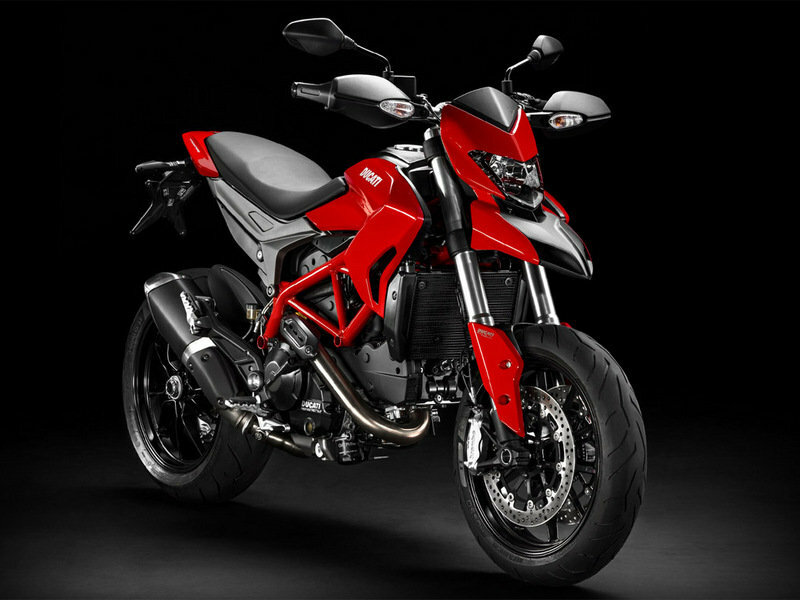 Hit the jump for more information on the Ducati Hypermotard SP. 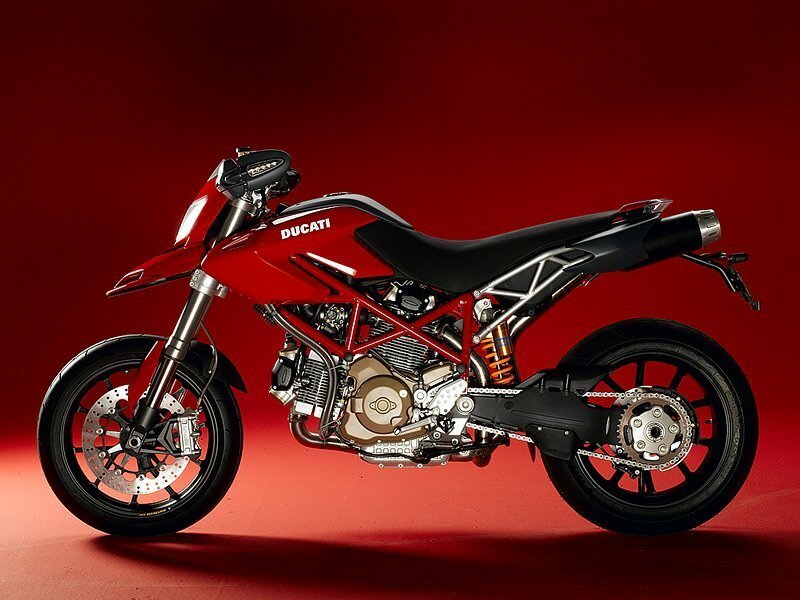 The 2012 Ducati Hypermotard 796 was created to dominate the road. The bike features an aggressive design which is combined with a host of modern technologies and a fairly capable engine. All these features make it one of the most attractive naked bikes in its segment. Its engine has na 803cc displacement, is air cooled and delivers a maximum power of 81hp (59.6kW) @ 8000rpm and 55.7lb-ft (7.7kgm) of torque at 6250rpm. This massive power is sent to the rear wheel through a six speed gearbox which is combined with the APTC ‘wet’ clutch. This advanced clutch prevents destabilizing of the rear-end under aggressive down-shifting and also gives the extra benefit of a super-light feel at the lever. The motorcycle is also fitted with a modern 2-1-2 catalytic exhaust system which uses an efficient pre-silencer configuration with twin lambda probes which help the bike conform to the Euro 3 emission standards. 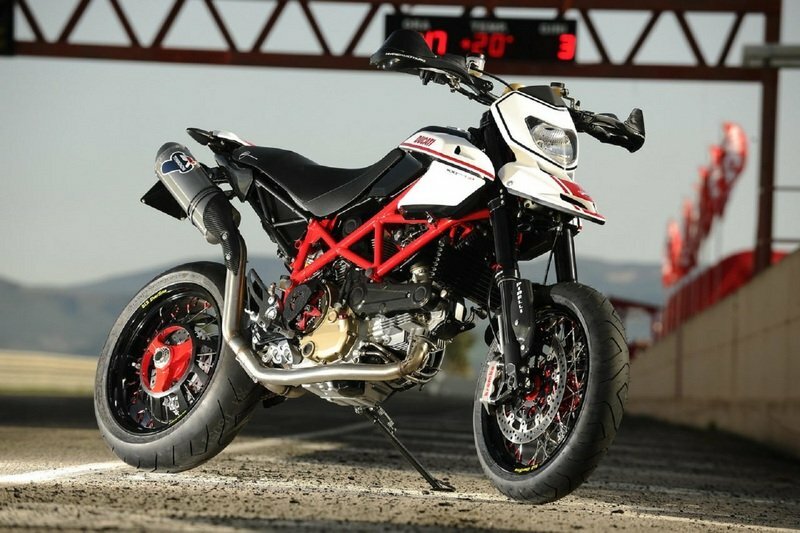 Hit the jump for more information on the 2012 Ducati Hypermotard 796. From a concept bike that wasn’t initially well received, the Ducati Hypermotard has evolved into a really special machine, spawning the 1100 EVOSP Corse Edition that injects some real racing fervor into the Hypermotard concept. With a higher ground clearance than the standard model, a top-spec suspension, higher bars, and the aggressive Corse colour scheme, the Hypermotard 1100 EVO SP is ready to rip up the racetrack in an instant. 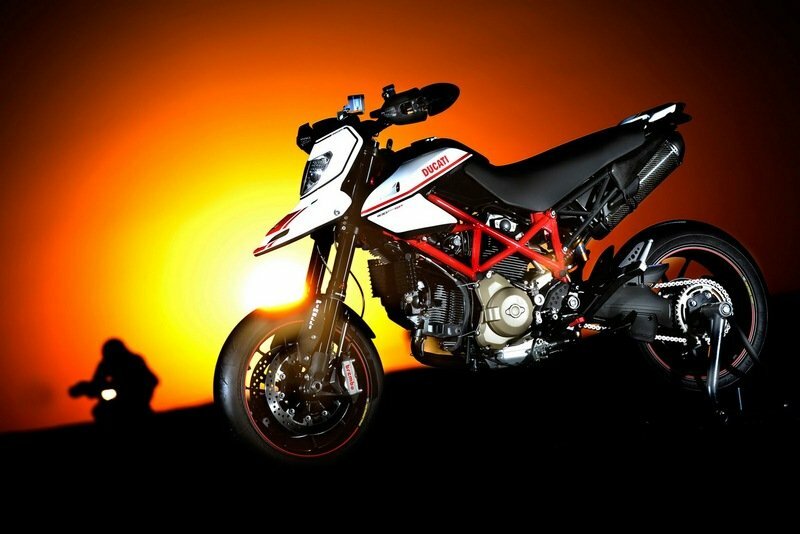 The Hypermotard concept created an innovative segment that bridged the gap between hyper-sports bikes and supermotards. In essence, it took the high speed handling and smooth engine from a hyper-sport bike and combined it with the aggressive styling, lightweight minimalism, and slow corner precision of a supermotard. Whereas the Hypermotard created a new market unto itself, the 1100 EVO SP has taken that concept and given birth to a true favorite among extreme riders. With those people looking for a bike that provided extra beef and more functionality, especially in extreme conditions, the Hypermotard 1100 EVO SP offers plenty of riding characteristics that extreme riders enjoy. The combination of a 1100 L-Twin engine with an improved chassis are only two of the most important traits of this bike. It’s no wonder that Ducati has made this bike one of the most important in its roster. Not only has it morphed into a true prized ride, it has also turned the attention of those that had initial skepticism about it. In the end, the Hypermotard 1100 EVO SP has become a true extreme wonder bike, and in so doing, has given Ducati enthusiasts even more reason to love the brand. Tom Cruise and Cameron Diaz are both stars in the new "Knight and Day" movie, released on June 23rd. But next to them there is another star: a Ducati Hypermotard, that is in fact an Aprilia SXV550 in disguise. Wait, what? 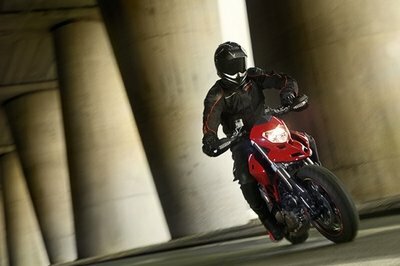 Aprilia is being used as a stunt bike, while Ducatti is used for low-speed rides. And how the Hypermotard is just to heavy and too fragile to pull off the stunts, the team opted to an Aprilia. So why hiding an Aprilia under a Ducatti skin? Maybe because Cruise really wanted to drive a Ducatti in the movie, who knows! Knight and Day trailer after the jump. Hypermotards are all about combining the right amount of power with perfect balance and chassis geometry for excellent feedback. It all resumes to upgrading those aggressive riding skills and obtaining better and better lap times. That’s what Ducati concentrates on with their 2010 Hypermotard 1100 EVO and EVO SP models, ensuring that every single owner brags about its ride each time it takes it closer to its limits. After being launched last autumn at the EICMA Show in Milan as a middleweight super motard, Ducati’s all-new Hypermotard 796 turns out being, as expected, a smaller and much more versatile twin-cylinder Italian motorcycle with sportbike credentials and very aggressive looks. Let’s see what more. Ever wondered how official motorcycle videos are made? We did too and came to find that it is a great deal of work now that Ducati released the backstage videos for two of their 2010 models, the Ducati 1198 and Ducati Hypermotard 1100. Remember that these are professional riders performing on closed courses and there’s still a great deal of risk for the guys with the cameras as they are often filming/photographing skids and slides with themselves as targets. Follow the jump to see how the Italians from Ducati make their motorcycle videos. 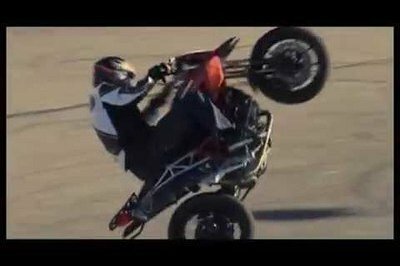 Ducati recently made public the video for the 2010 Hypermotard 796 and we have to say that it doesn’t manage to start our interest as much as it could considering the 81hp and 55.7lb/ft of engine performance on a motorcycle that weighs only 368 pounds. This should translate in never ending wheelies, skids and burnouts, but we don’t see much of that happening during what appears to be a relaxed Sunday ride. The bikes look great though and the relaxing music kind of takes our minds away from the “professional rider on a closed course” kind of action. 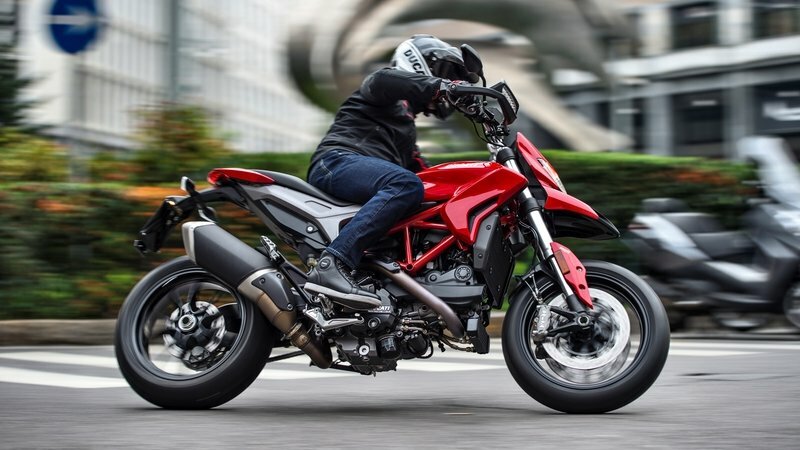 The motorcycle press is restless in speculating about the upcoming Ducati Stradaperta or “the next Hypermotard” and the abundance of spy shots does help at maintaining people’s awareness in what this model is concerned until it is finally unveiled at the EICMA show in Milan this November. 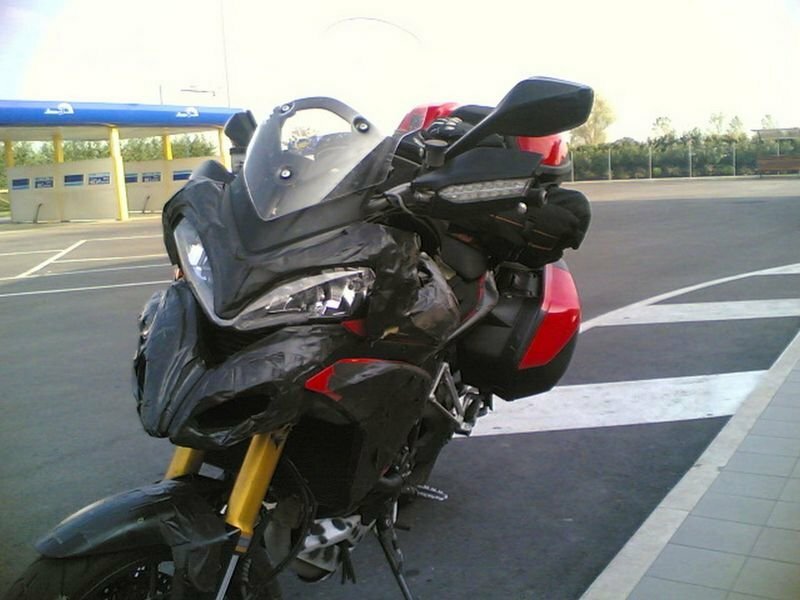 These are probably the best spy shots ever and they reveal an entirely digital dash (we hope that GPS will carry on the production bike) as well as Hypermotard features such as the signal lights integrated into the hand-guards, just to mention a nice detail that caught our attention. Still, most of the bike is covered in tape, but that doesn’t stop us from imagining the beautiful Italian curves underneath. We’re just glad the angry face was kept and can’t wait for the official unveiling. Ducati recently confirmed that a mid-sized Hypermotard is on the way and – according to MCN – it will be unveiled next week. The entirely new bike is supposed to be powered by the 696cc air-cooled V-twin currently found on the middleweight Monster, but nothing is sure until Ducati takes the wraps off the new model next weekend. 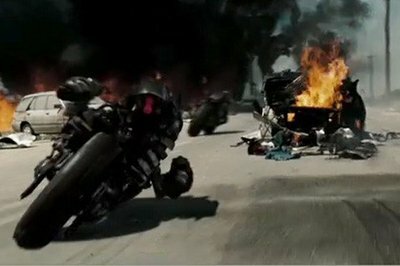 We’ve long been craving to find which specific motorcycle could have possibly met the demands necessary to shoot the kind of action footage used for Terminator Salvation and not in a thousand years would the Ducati Hypermotard 1100 have emerged from our apocalyptic images-intoxicated brains. Yet, the answer was always there only that we couldn’t pass over the Ducati’s impeccable finishing and spot the very essence of the bike. The movie “Yes Man” features Jimmy Carrie playing the Carl Allen character, a man who suddenly decides he must take all opportunities and stop saying “no” to everything. How about a ride with a Ducati Hypermotard 1100? Yes Man! 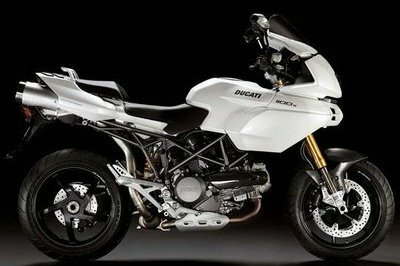 Ducati introduces the pearl white color for the Hypermotard and Multistrada motorcycles. These two models are latest to receive the now famous Ducati color which has already made the Ducati 848 and Ducati 696 sell with even greater success. 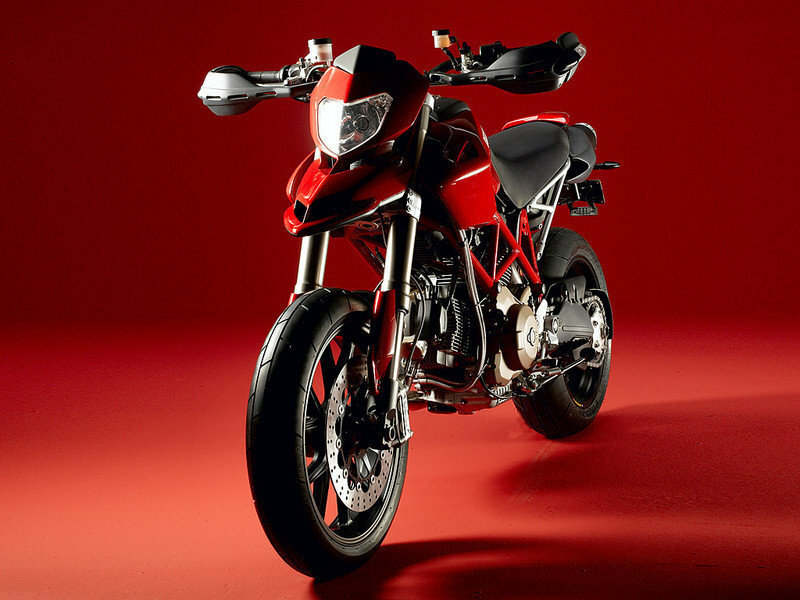 The fiery Red Ducati color will only cover the frame while the new carbon-grey finish is applied to the outer engine castings of the simple Hypermotard 1100. On the Multistrada 1100, only the “S” will feature the Ducati pearl white livery. The new shade contrasts with the frame’s racing grey and with the racing-like carbon-fiber components which are present on this model, making it as classy as it is sporty. Ducati plans on presenting the two models at the International Motorcycle Show in Cologne (October), even though they will start being sold this month. 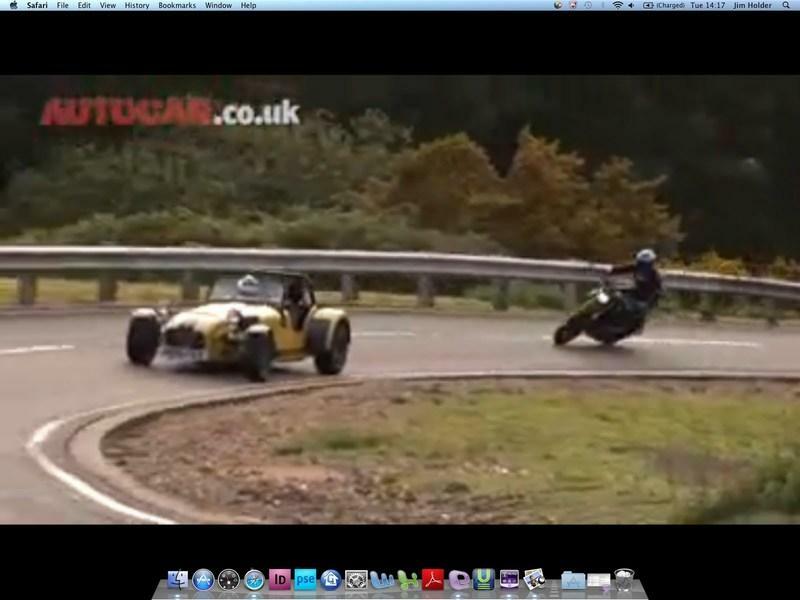 Hypermotard vs Caterham, just for the hell of it! We’ve come across this video which is all about the never ending fight between a four wheel and a two wheel machine. With this occasion, the new Caterham R500 with its 263 hp and 506 kg challenges the Ducati Hypermotard 1100 S having 95 hp and under 180 kg. You don’t have to blink too much in order to see that it is all about the spectacle. Skids, takeovers, you name it, you have it. I personally like the ironic ending although I was supporting the Ducati. 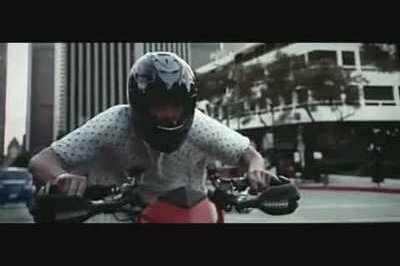 Check out this video in which Ernie Vigil is riding the Ducati Hypermotard 1100 like no other stunt rider has ever did. The riding and filming are both excellent and it actually makes you feel like you’re there except the smell of the burned rubber which doesn’t reach your motorcyclist nose. Now is your chance to experience the Hypermotard at your local dealership at the Hypermotard Premiere Friday, June 29 & Saturday, June 30. Join for the reveal of the Hypermotard 1100 S and sign up for a demo ride. The Hypermotard 1100 takes on urban canyons and attacks mountain curves with total abandon. Its purpose is single-minded: to thrill. After an incredible reception at the recent London Motorcycle show, Ducati heads north of the border to showcase its strongest ever model year line up at the MCN Scottish Motorcycle show. Ducati UK will attend this year’s Scottish show in conjunction with its premier dealership in Scotland – Ducati Glasgow. 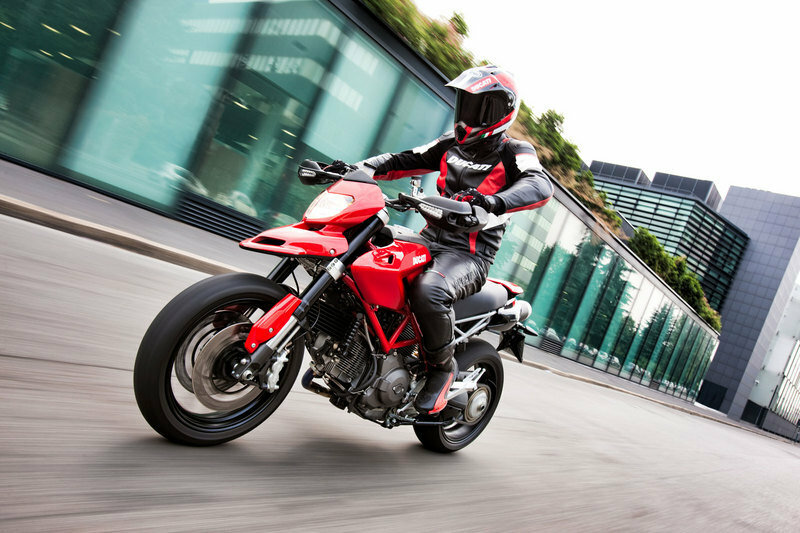 The Ducati Hypermotard attacks urban canyons and carves up mountains passes with total abandon. High performance starts with attitude.